Welcome to the West Side Minyan: A nice place to daven. A nice place to learn. Welcome to the West Side Minyan! We're a friendly multi-generational egalitarian Minyan on the Upper West Side. We offer free High Holiday services open to all and meet year round on the second and fourth Saturdays of each month on the Sixth floor of Ansche Chesed, 251 West 100th Street, New York NY. 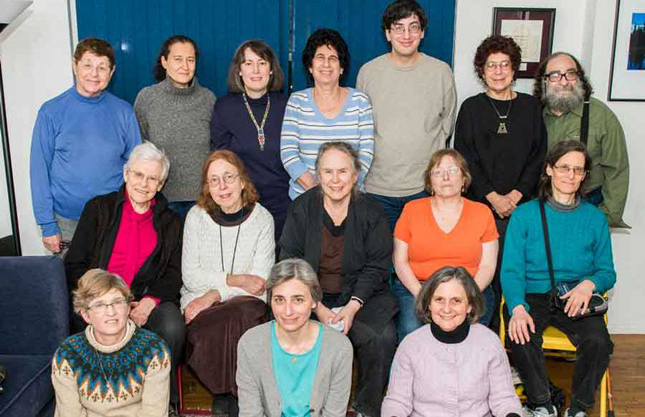 You can read more about the West Side Minyan or get in touch with us. Unless specified otherwise, services begin at 10 a.m. on the sixth floor at Congregation Ansche Chesed, 251 West 100th Street. For details, see the weekly schedule. Periodically, we have a special "Learning Shabbat" with a shorter service and extended d'var torah/study. Click for complete High Holiday information. VOLUNTEER! Would you like to lead davening, lein, bring kiddush? Contact one of the Minyan coordinators. For DETAILS, check the weekly schedule. To see what you're signed up for, see the rotations page.